A FedEx driver who is also a former Marine saw that the wind had taken down a flagpole in a yard. An American flag was laying on the ground. The driver, Mike King, decided to do something about it. 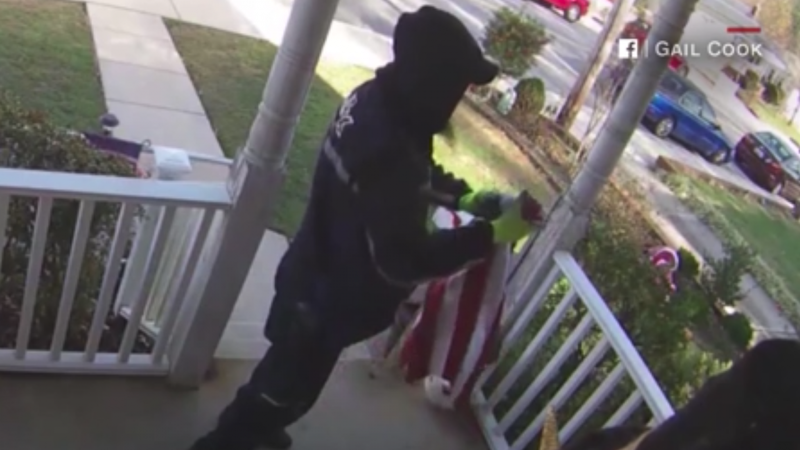 “He stopped and took took time out of what is surely one of his busiest delivery weeks to pick up our flags and fold them and place them safely on a box that was on our porch,” said Gail Cook, the resident of the home. King didn’t have a package to deliver to Cook’s home, but he stopped anyway. He picked up the American flag, and ceremonially folded the flag into a triangular shape. Cook was so pleased by what King did (she saw it on her home security camera later) that she posted on Facebook.